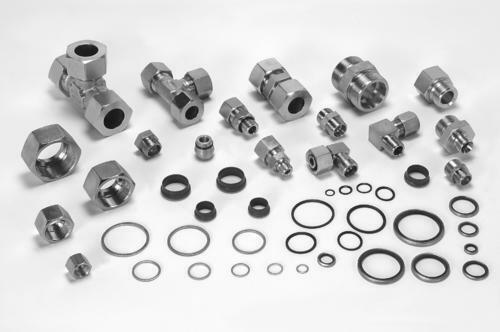 Established in the year 2004, 'Excellent Hydraulics', is a prominent organization engaged in dealing, supplying, trading and exporting a comprehensive assortment of Hydraulic Valves, Pumps, Hoses, Connectors and Filters. Offered products in this range are PH 365-air And Water, Hydraulic Hose PH153 - R1AT 1 SN, Single Vane Pumps and Double Vane Pumps. Other products included in this range are Directional Control Valve, Pumps - HP 5012-ST, ABT Die Cast Breather, Paint Spray Hose Pipes and others. Optimum quality raw material, procured from authentic vendors of the industry, these products are widely appreciated for their sturdy construction, resistance against corrosion, compact design, fine finish, robustness and durable standards. Furthermore, we design these products in tandem with international quality standards, using the latest technology and advanced amenities, in order to serve our clients with a flawless range of industrial products.